"They have some very dope ideas here! The Menus make drum selection so easy...I think that's one of the easiest ways to build your own kit." 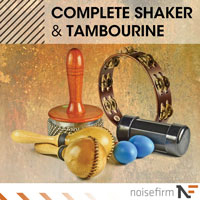 "I'm happy to say the instrument lives up to the hype and is available at an affordable price." "I'M LOVING SEQUENCE. THE SOUNDS ARE INCREDIBLE!!! 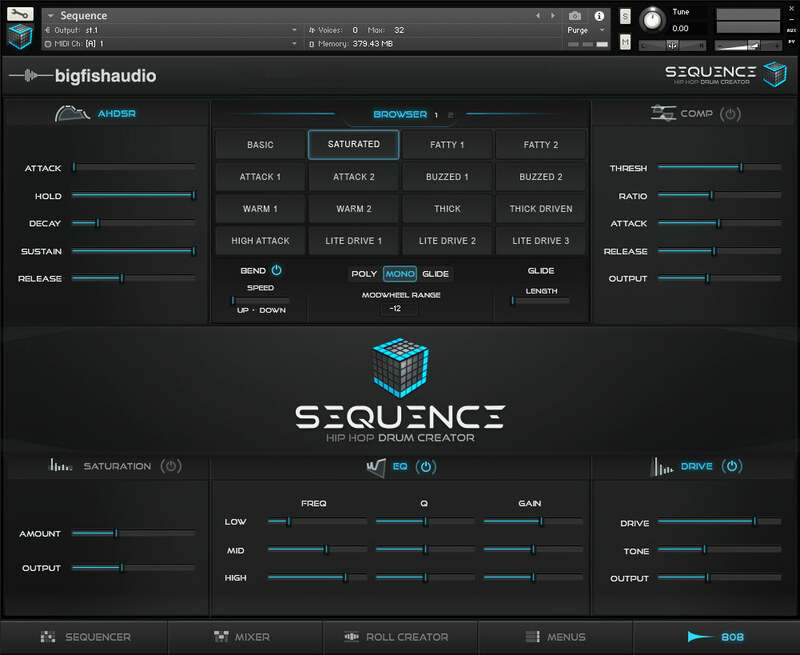 Sequence has created a seamless workflow to get amazing sounding beats quickly and creatively. My new go-to for sure!" 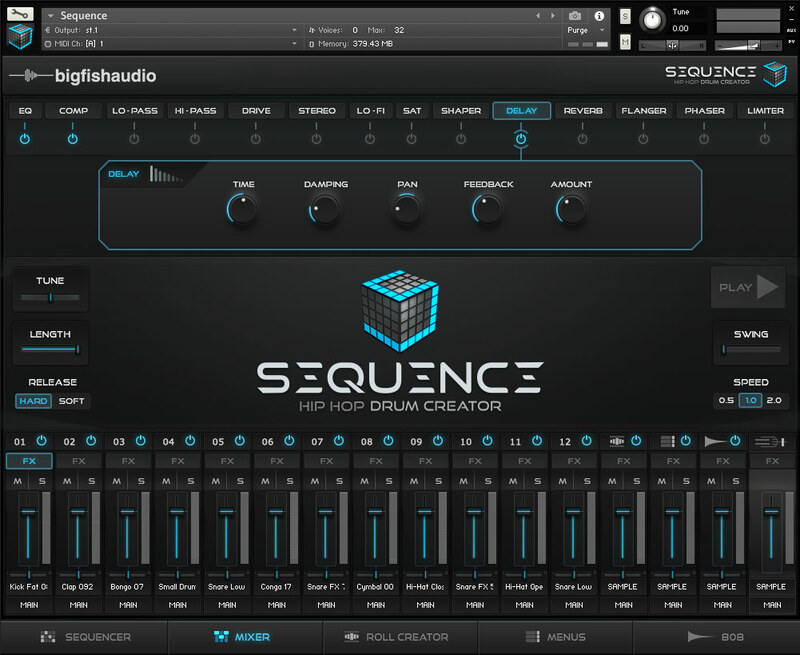 "Sequence is an awesome tool to have in your arsenal!!! It's easy to use, sounds great and isn't heavy on the CPU. To all my producers and songwriters, get it. You won't regret it." 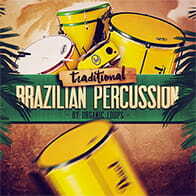 "This is DOPE & I'll definitely be adding this to my production arsenal!" "Amazing sound quality. Easy to use and fun. This is going to come in handy in my workflow. Another home run." 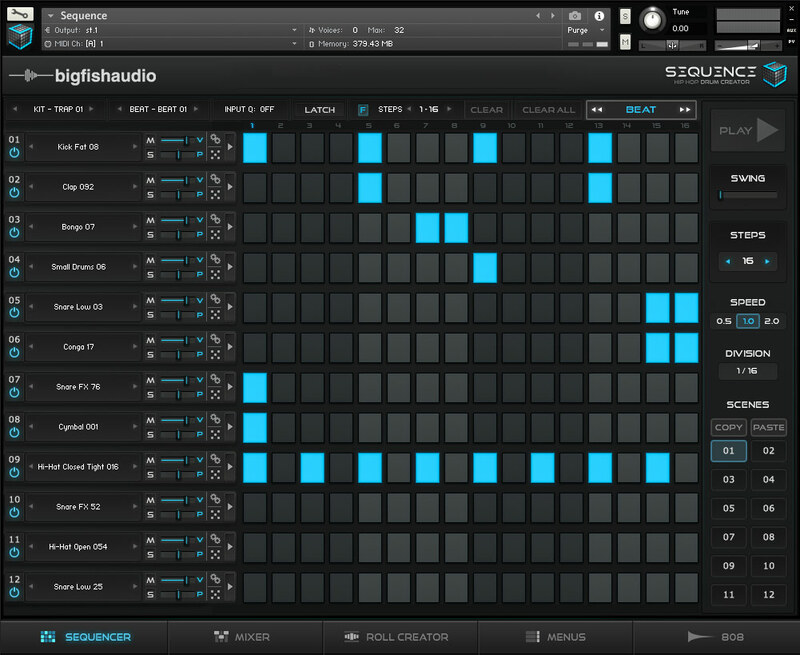 "The sequencer and roll creator are next level! Sequence is a tool I will definitely use when I create! Big Fish does it once again!" The Mixer page allows you to adjust volume and pan for all channels as well as add FX. Sequence comes with fourteen different FX that can be applied to each channel individually or to the master output. In addition, there are Sample Edit controls for shaping each channel's loaded sample. 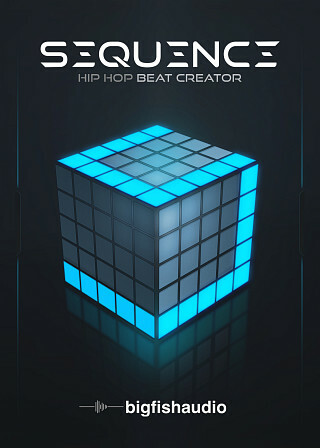 This Roll Creator completely changes the game for beat-creators. Gone, are the days where 64th note and 128th note speed rolls and pitch shifting need to be drawn in note by note. The Sequence Roll Creator will let you make pitch shifts, trigger 13 different divisions of playback, and give you quick access through a custom menu of the entire 4,000+ sample library. This one page of Sequence will save even top professionals hours upon hours of work, and allow them to be more creative and expressive with their rolls and overall color of their beats. 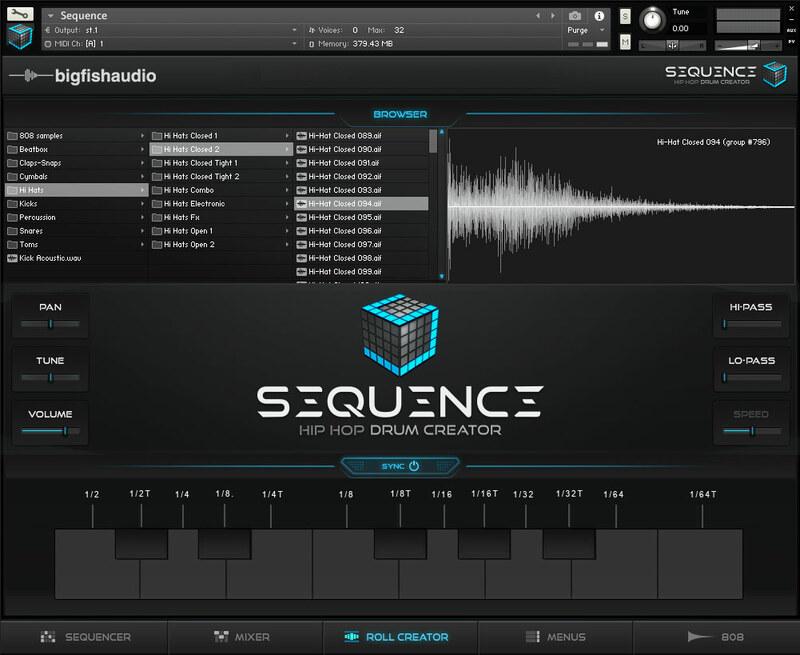 The Following End User License Agreement is included with Sequence: Hip Hop Beat Creator. 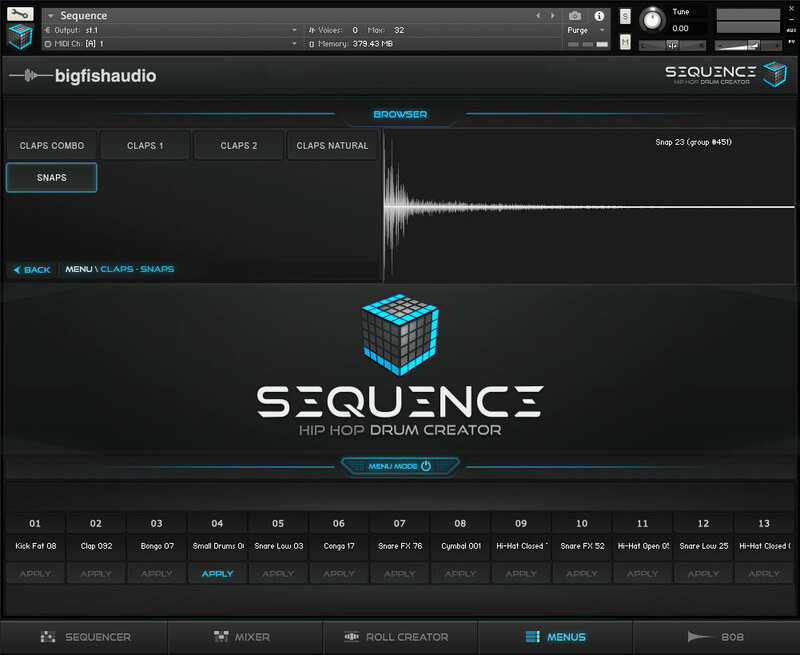 This License is only valid for the individual who has purchased an unopened, new and lawfully made copy of Sequence: Hip Hop Beat Creator from a dealer or distributor authorized by Big Fish Audio.